Our San Diego based company, Web Design Solutions, was formed in 1998 by Dana Nevins, whose primary focus has always been to help small business' make more money by transitioning effectively into eBusiness. Our San Diego office is an active AABA member, and has grown significantly over the years, and is comprised of highly trained Internet Professionals who are in touch with where the Internet is today, not what it was last year. Between us we have almost 100 years of combined experience available to help catapult your eBusiness to category leader status. With a list of 500+ happy clients and growing, Web Design Solutions success can be attributed to the way we work with our clients. From personalized on-site consultations at our unique office overlooking the San Diego River which is easy to commute in and out of with ample parking and is just steps from the Trolley, to meeting at your office after the project is complete to ensure your complete satisfaction with your new website. The most important component of maintaining our high level of customer satisfaction is the customer support we offer after the sale. All of Web Design Solutions web services include fanatical support providing you security in knowing the in-house team at Web Design Solutions will be here to answer questions and provide support for many years to come. Because Web Design Solutions creates websites that will sustain your eBusiness for years to come we provide ongoing web development feature improvements at no additional cost to you. Although we started with Web Design, over the years we have become a full service web company to better serve our clients. Most notably are LAMP (Linux/Apache/PHPMySQL) application development services as well as eCommerce Web Design. These offerings plus many others were added to our menu of web services after carefully listening to our clients needs over the years. 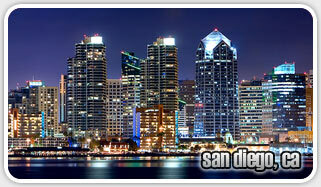 Our constant drive to adapt and change has solidified our position as San Diego's premier website design provider. Contact Web Design Solutions today for a consultation. Not in the San Diego area? You will be happy to know that we also have a presence on the east coast in Charlotte, NC. We can accommodate the Mid-westerners near Toledo, OH and Ann Arbor, MI. If you happen to be headquartered on the CA central coast we can meet there too! If we are unable to meet face-to-face we can provide you with a free web design quote, or a live product demonstration where we can begin to learn more about your dreams and aspirations virtually. Point your browser here for current career opportunities.